CHA Power Supply control rack mount detail. CHA power supplies meet international safety requirements and are compatible with most thermal sources and high vacuum deposition systems. CHA Industries has discontinued manufacturing and offering for sale the CHA SR Series Electron Beam High Voltage Power Supply Models SR-15, SR-10, SR-6, SR-4 and the SP-8 Solid State PS effective September 30, 2017. CHA will continue to support existing SR Power Supplies until a time where either availability of spare parts or technical feasibility does not allow us to do so. CHA will be announcing an alternative PS in the coming months. 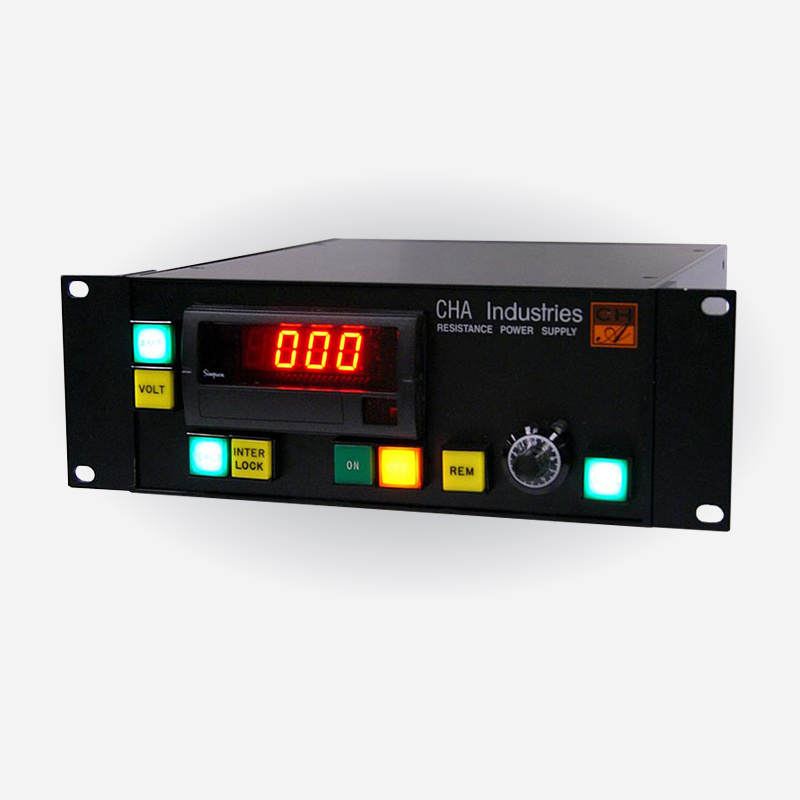 CHA's Resistance Power Supplies come available with 2000 Watt and 5000 Watt outputs to supply single or dual thermal deposition sources; and feature large, easily readable displays that show voltage and current data. Available in either rack-mountable and console configurations, these RPS Power Supplies meet all international safety requirements and are compatible with most thermal sources and high vacuum deposition systems.